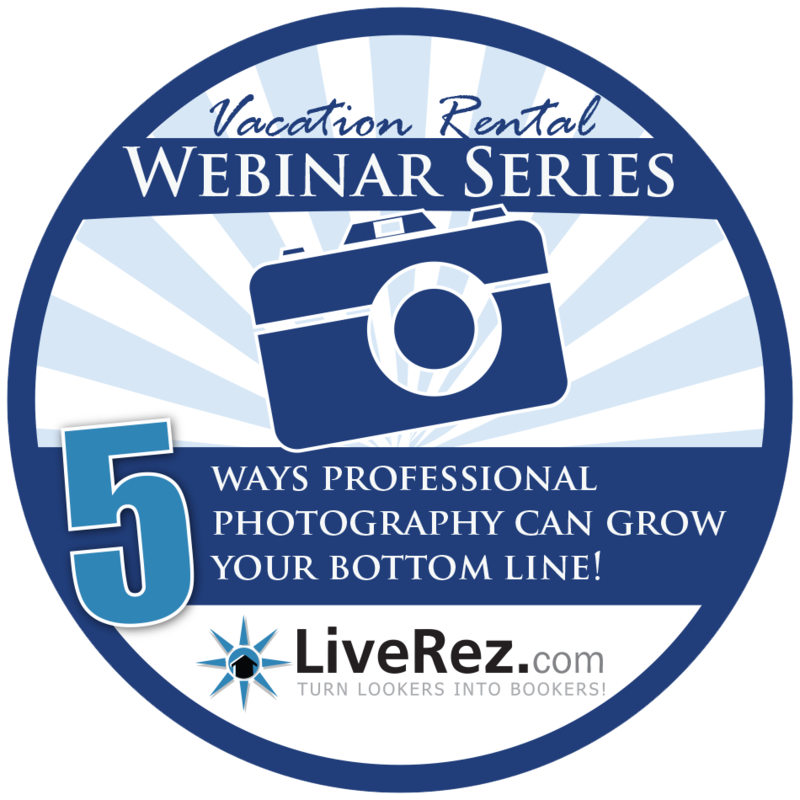 The next installment of LiveRez's vacation rental webinar series is slated for Wednesday, May 14 at 2 p.m. ET. Titled “5 Ways Professional Photography Can Grow Your Bottom Line,” this webinar will examine the major ways that professional photography can boost your bottom line, citing industry statistics and showing real-life examples. We’ll examine how aspects like image quality, image quantity, image size and more have been shown to increase conversion and get you more bookings. If you’re on the fence about making the investment into professional photography, this webinar is a can’t miss event. The webinar is free, and all professional vacation rental managers and their staff are invited to attend. To register, click here. And for a list of upcoming webinars and recordings of past webinars, check out our webinars page. ←The New Facebook Algorithm Update Penalizes "Like Baiting"